This recipe for Loaded Mashed Potatoes really couldn’t be easier to make. You could have this ready for your family to enjoy within 10 minutes. 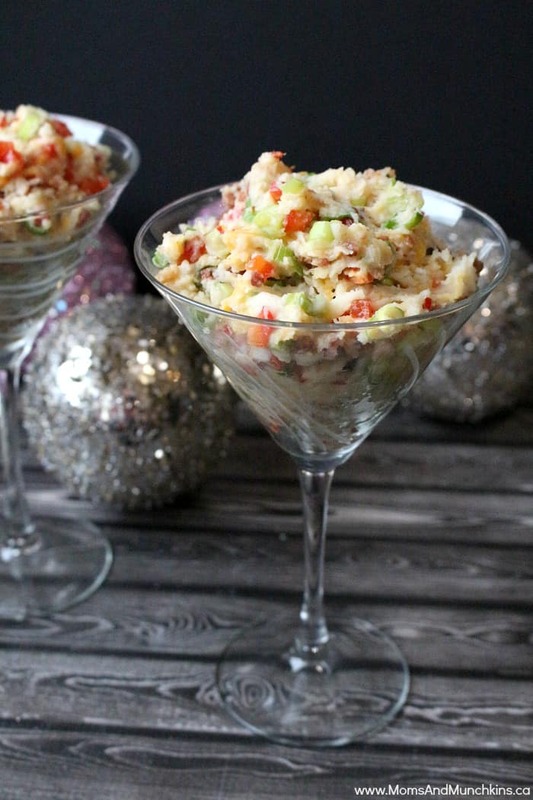 It makes a great side dish for supper or you could serve scoops in mini martini glasses at a fall party. It’s a great comfort food recipe. When I told my mom that I was making boxed potatoes for supper, she gave me the stink eye. I don’t think she’s ever made potatoes from a box (even though I’ve told her they are delicious) but also because she has so many potatoes in her garden right now that she’s trying to give away. I took some garden potatoes to make homemade fries later this week but this Loaded Mashed Potatoes recipe tastes really good with boxed potatoes. 1 pouch Betty Crocker Roasted Garlic Mashed Potatoes (prepare according to directions with water, butter and milk). Heat water and butter in large pot. Remove from heat and add milk and contents of potato pouch. Stir just until moistened and let stand one minute. Whip with fork until smooth. 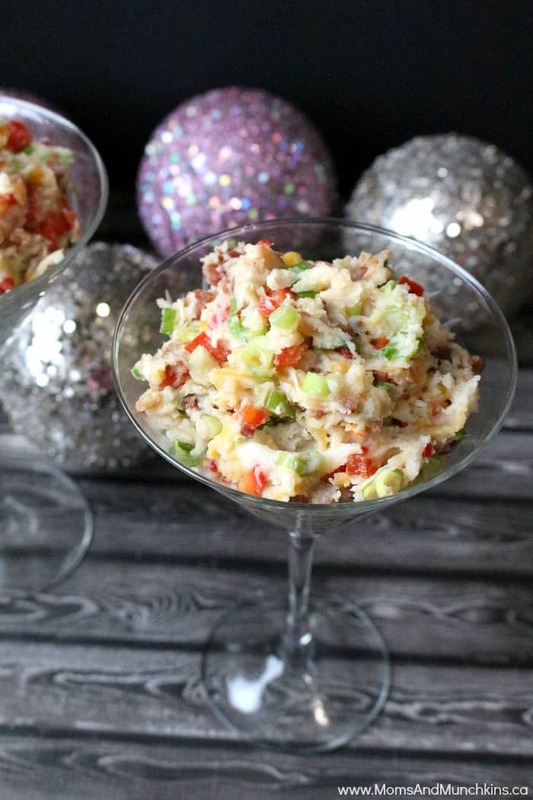 Stir in green onions, bacon bits, shredded cheese and bell pepper. Serve warm. I love loaded potatoes and we have a few different loaded potato recipes here on the blog for you to try. 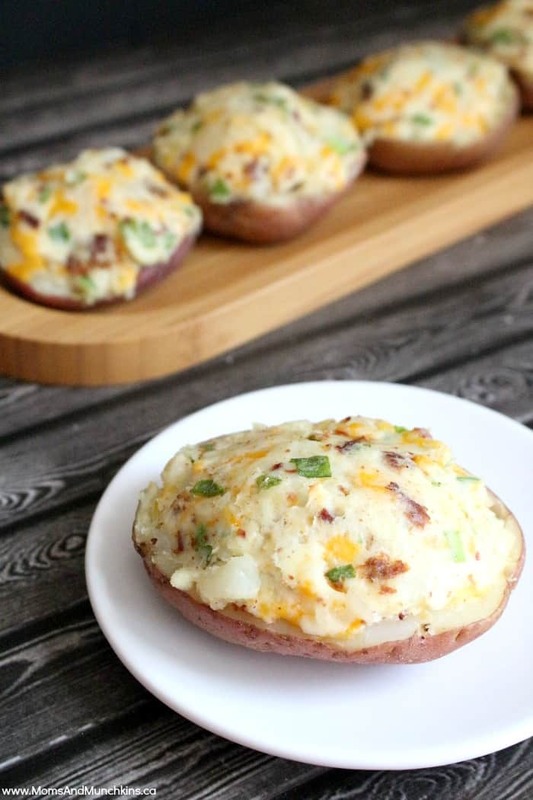 These Egg Stuffed Potato Skins are a delicious twist on a classic appetizer. 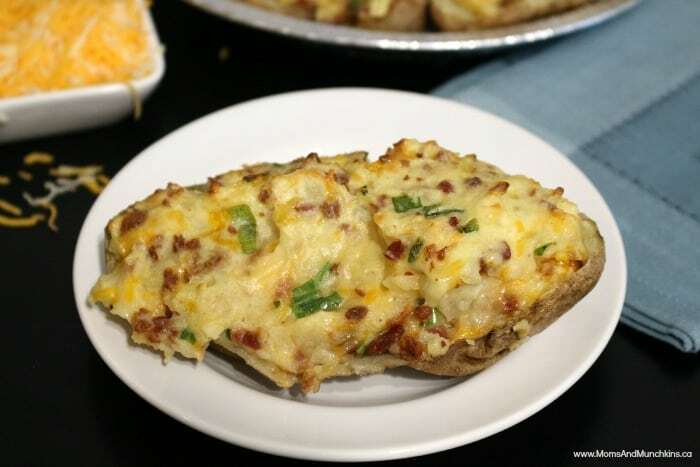 These Loaded Stuffed Potatoes are a tasty side dish for dinner. They are so filling that they could be your main meal instead. For more yummy dinner recipes, party appetizers or irresistible desserts, visit our recipe page.